I'm Senior Legal Counsel for the Wikimedia Foundation. I studied law at the University of California, Hastings College of the Law. For Wikimedia, I focus on legal advice related to technology, open source, and other topics. I'm also co-creator of Listen to Wikipedia, seealso.org, and a few other projects. Slaporte added a comment to T95129: Publish Wikimedia's WordPress blog theme in Git. Just to clarify the current status, the only thing missing here is an explicit license on the published code. https://wordpress.org/news/2009/07/themes-are-gpl-too/ makes it clear that the PHP parts of WordPress themes must be GPL. The only thing we still need WMF-Legal clarification on is the license status of the images and JS/CSS parts of the theme, so adding the appropriate tags. I would hope based on https://developer.wordpress.org/themes/getting-started/wordpress-licensing-the-gpl/#do-i-need-to-license-my-themes-under-the-gpl that the rest of the theme is also GPL. Slaporte added a member for Legalpad: Slaporte. Slaporte added a comment to T217438: Requesting access to stat1007 for sukhe. Can @Slaporte confirm NDA was signed? I support @ssingh's request. Access would help his work on a project he's doing as a Ford-Mozilla Open Web Fellow for Wikimedia. Slaporte added a comment to T215379: Restoring the daily traffic anomaly reports. Yes, that is what happened - yesterday @Slaporte and I sat down a bit to look into this. He managed to retrieve the instructions he had received from @ZhouZ way back when this was handed over, including the exact crontab data with which we restored the job. @Slaporte was going to post an update here but I think wanted to wait until after the first successful run (which has now occurred), sorry that we ended up duplicating some work on this. Slaporte awarded T211485: Store each assessment instead of just current one a Love token. Slaporte closed T207051: Create Legalpad for WLM permission form as Resolved. Slaporte added a comment to T207051: Create Legalpad for WLM permission form. Works! Thanks so much for fixing this. Slaporte awarded T207051: Create Legalpad for WLM permission form a Party Time token. @Dzahn Yes, I successfully edited the document. Thank you! zhuyifei1999 awarded T126888: Include query execution time a Like token. I can create legalpad documents, but I think this is because of my staff role. I'm happy to help create this pad if @Aklapper gives me permission to go ahead. Qgil awarded T205647: discourse.wmflabs.org is down a Love token. Slaporte added a comment to T205647: discourse.wmflabs.org is down. Thanks for bringing it back to life! Slaporte created T205647: discourse.wmflabs.org is down. Slaporte added a comment to T203095: Security review for EUCopyrightCampaign extension and EUCopyrightCampaignSkin. @Bawolff Thanks for working on this. For the purpose of coordinating our announcement, what is the estimated time this will be done tomorrow morning? I just tried signing my email up - I got a success message, but no confirmation email. That is handled inside the separate mailing list management application, which is an established application used for other campaigns. I believe that functionality is not turned on yet, but I could be mistaken. Slaporte updated subscribers of T154071: Allow non-CC0 licensed data for datasets. I spoke with @Doc_James at the Wikimedia Conference this spring, and he asked me to clarify the requirements for non-CC0 content in tabular data. Slaporte closed T172741: Tool "montage" loads fonts from google as Resolved. Slaporte closed T172741: Tool "montage" loads fonts from google, a subtask of T172065: Hunt for Toolforge tools that load resources from third party sites, as Resolved. Slaporte added a comment to T194027: Creating a Facebook Messenger Bot for Wikipedia. Will there be any Wikimedia policy related issue in using Facebook's Wit.ai as NLP API for this project? Slaporte closed T185616: Ensure presence at Wikimedia Conference 2018 as Resolved. Slaporte closed T185616: Ensure presence at Wikimedia Conference 2018, a subtask of T185180: Ensure presence in events for community outreach initiatives, as Resolved. Liuxinyu970226 awarded T65782: Make querycache, querycachetwo and querycache_info tables visible on labs dbs a Orange Medal token. Slaporte added a comment to T172068: Wiki Loves Monuments blog upgrade. Slaporte added a comment to T186691: meta:Special:Contact/affcomusergroup being used to send spam to usergroup-applications@ mailing list. This is the form that people fill out to submit an application to become a Wikimedia User Group. I don't see a problem with restricting the form to logged-in users, since having an active Wikimedian involved is part of the user group eligibility requirements. Slaporte removed a member for WMF-Legal: • MBrar.WMF. Slaporte removed a member for WMF-Legal: • Mpaulson. Slaporte removed a member for WMF-Legal: • ZhouZ. Slaporte updated subscribers of T184085: Requesting extended access to stat1005 for jdcc. Slaporte awarded T183291: Requesting account expiration extension a Like token. Slaporte added a comment to T183291: Requesting account expiration extension. Slaporte added a comment to T182283: Finalize the call to action for the announcement blog post. @Effeietsanders I updated the bullet point in description to reflect that. @Slaporte I like the idea, though we should be aware of what m.hekmat says (it should be easy and the audience may not be ready to engage in that level). Slaporte updated the task description for T182283: Finalize the call to action for the announcement blog post. The call to action should be simple enough that everyone can do it, and ideally should have some sort of social multiplier. I'd rather have something that's actually useful (as opposed to just a passive gesture). Slaporte added a comment to T178210: Provide Legal comment on [[c:Commons:Deletion requests/Data talk:Kuala Lumpur Districts.map]] concerning derivates from OSM acceptability in Data namespace. According to the Wikimedia License Policy, the Wikimedia projects may only accept material that meets the definition of Free Cultural Works. This includes material that is protected by copyright but released under a compatible free license, or work that is in the public domain because it is not protected or restricted by copyright law. Hey @Base, @debt and I spoke this afternoon. I can share more about why we only accept CC0-released data in the Data namespace at this point. This will take me a few days to prepare a public response from the legal team, but I wanted to let you know that we received the question. Slaporte added a comment to T174528: Tool for displaying a user contribution summary. The API returns correct data when requested using Chrome directly or using Postman. D3r1ck01 awarded T133662: Community bonding evaluation for Automated Testing and Integration of IFTTT support to Wikidata a Mountain of Wealth token. Now I wanted to know if we need to connect to the database manually and query the database for the required information or any ready-made API is available to fetch the required data (Microtask 1). Slaporte closed T176518: Requesting access to stat1005 for Slaporte as Resolved. Slaporte added a comment to T176518: Requesting access to stat1005 for Slaporte. Note the public key is used on labs and IIRC access to production requires a different ssh key. Slaporte updated the task description for T176518: Requesting access to stat1005 for Slaporte. Slaporte created T176518: Requesting access to stat1005 for Slaporte. Slaporte added a member for WMF-Legal: LMixter. Slaporte added a watcher for Software-Licensing: Slaporte. Slaporte added a watcher for Privacy: Slaporte. Slaporte added a member for Privacy: Slaporte. One challenge is figuring out how and why people would visit this page. Is it a resume/personal page that users would promote about themselves? A tool for people to research other Wikipedians? Is it a proof of concept for a user page replacement? A resume/showcase, yes. There are benefits to having that integrated with MediaWiki (branding, mainly), but in the short term outweighted by the drawbacks, IMO. The Toolforge is ideal for experimentation, a MediaWiki extension is not - the required investment for making the feature available to anyone at all is too large. Even if the end goal were to include it, building popularity as a Toolforge tool and porting later if it does turn out to be popular is a better approach. I would love something like github's contribution graph. Someone actually did that (the chart part) at the data design challenge, but it seems the projects weren't published anywhere. Maybe @Slaporte has more details. Slaporte awarded T172068: Wiki Loves Monuments blog upgrade a Love token. Slaporte added a comment to T173684: Update WMF's office address in mediawiki-config. Let's wait until October 1. Slaporte added a comment to T163229: Review by legal department of text on wikistats site . Slaporte added a comment to T170976: Relief maps show "API Key Required" on Wikivoyage. Our current usage is within the 'Hobby Project (free)' bucket, so at this time, there will be no charge for the usage of the data. What happens if our traffic exceeds their expectations? Slaporte added a comment to T170365: move legal-tm-vio alias to OIT. We can host a copy on Meta Wiki for translation, as long as the official version stays on Foundation Wiki. Slaporte added a comment to T167930: [Dashboards] Add licensing info to repos. Slaporte added a comment to T167900: Policy listserv link on https://policy.wikimedia.org/ doesn't actually sign people up for the mailing list. I'll follow up with you via email. There are a few steps before we change ownership. I think it's with Mule. If there is nothing sensitive in the repo (eg no private keys, etc), then I want to transfer ownership to the Wikimedia Github org and make it open so this kind of thing is easier to solve. Slaporte claimed T167900: Policy listserv link on https://policy.wikimedia.org/ doesn't actually sign people up for the mailing list. I believe this feature is in the Wordpress skin. I'll get in touch with designers and find the code. @Varnent, would you be able to fix it? Thanks Nuria. Let me know when you're ready for review. Slaporte added a comment to T160065: Write article for Europa Nostra magazine on WLM 2017. Hey, sorry I think I missed that date. I'm working on it now, but running a little slow due to the conference. What if we send to them end of next week? I can send to you earlier. A specific story from 2016 would make a good introductory hook. Slaporte awarded T160455: Create WMCON Berlin slides for WLM a 100 token. Slaporte awarded T160065: Write article for Europa Nostra magazine on WLM 2017 a Like token. Slaporte closed T157900: Report of the offsite to the community as Resolved. Slaporte added a comment to T146342: WLM t-shirts: design and order. What about moving this to 2017? I like t-shirts, but I think it will be more useful to think about this for the upcoming year. Slaporte added a comment to T155472: Analyze the result of Montage's survey. We chatted about the results, but we haven't yet turned it into a list of TODOs. Slaporte created T159281: Plan (yet unnamed) WLM dashboard project. Slaporte added a comment to T146544: Team offsite planning. The results of the meeting are now up at Commons:Wiki Loves Monuments International Team meeting 2017. Slaporte created T159279: Evaluate the results of the 2016 organizer surveys. JeanFred awarded T157900: Report of the offsite to the community a Love token. Slaporte added a comment to T94239: Scap is lacking a license. I recommend the GPLv3. If you have a preference for Apache 2.0, please shoot me an email. 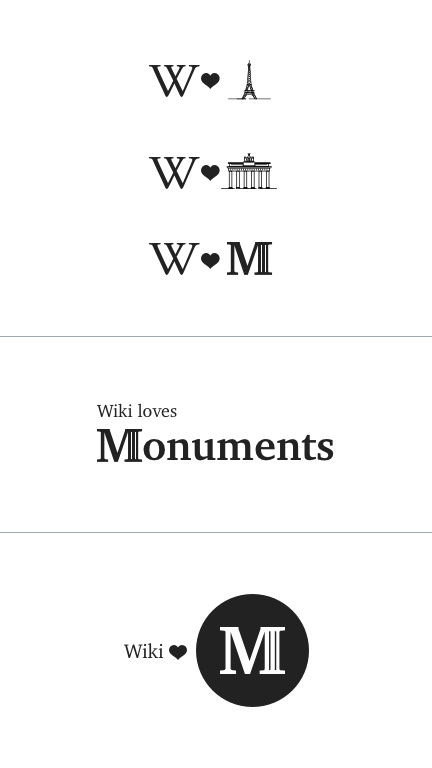 @mmodell: Which of these contributions were made by Wikimedia Foundation staff as part of their work? We can help reach out to people to get their agreement if you need help. the inverse is: Paladox, Sebastien, Alex Monk. Everyone else is/was staff when contributing to scap. Slaporte added a comment to T154912: Is User-Agent data PII when associated with Action API requests?. I think we are getting side tracked here. The user agents on api are of a different nature than browser UAs and there is no point on parsing/agreggating those with ua-parser which is made for UAs that follow the usual "browser protocol". The point of this ticket is not to decide whether UAs "in general" are identifying (they are, and that is well stablished) but rather whether APIs UAs have any expectation of privacy. It is a fundamentally different question as in the UA policy (https://meta.wikimedia.org/wiki/User-Agent_policy) we explicitly ask users to include an e-mail or similar with their request to api so we can identify them. Then, it really seems that data has no expectation of privacy just like @Tgr pointed out early on. Slaporte awarded T148544: Create a survey to for feedback about Montage a Like token. Slaporte added a comment to T148544: Create a survey to for feedback about Montage. Slaporte added a comment to T141815: Define tile usage policy. Slaporte added a comment to T154075: Remove the '+' in the 'cc0-1.0+" license code: CC-0 is future-proof in itself. I spoke with @debt and @Yurik about this today. You can remove the "+" and "any later version" from the CC0 definition for tabular data. Slaporte added a comment to T111224: Define maps attribution text. Hi folks, I'd like to ask some clarifications about the current wikimedia maps licensing. Is it allowed to access the tile map server from a commercial application? Thanks. My entirely unofficial interpretation is that there is no restriction against use in a commercial application provided that it complies with the requirements of "Using maps in third-party services". This does not mean it is a good idea to base an application on it, commercial or otherwise. If you build a business or software around using the maps server, it could go away if your use causes a problem for WMF needs. You should also not hard-code the TMS URL into your app. Slaporte added a comment to T153871: Ability to rescind signatures on Legalpad. Rescinding an agreement is little more complicated than just removing a signature from the terms. Termination may depend on the text of the agreement itself (eg, even if you want to cancel a confidentiality agreement, you still need to respect the confidentiality around private data you accessed). It may be misleading to people if they can "delete" their signature but the agreement isn't really cancelled. Slaporte added a comment to T152553: Legal wording update for tabular and map data release. Slaporte awarded T152554: Add information on how to change error message a Like token. Slaporte awarded T152553: Legal wording update for tabular and map data release a Like token. debt awarded T141815: Define tile usage policy a Like token. Slaporte added a comment to T150984: Hashtag tool 500 internal server error. Looks up to me now -- I think @chasemp's restart worked? Slaporte created T150463: Update legal-tm-vio@ alias. Slaporte closed T149590: Error when downloading round results as Resolved. Lokal_Profil awarded T126888: Include query execution time a Like token. Slaporte updated the task description for T148272: Ratings should be submitted continuously. Slaporte closed T147792: Edit Deadline Date doesn't register the change as Resolved. Slaporte added a comment to T147792: Edit Deadline Date doesn't register the change. We've deployed a fix this morning.